It has been the stereotypical “soccer mom’s” mode of transportation and endured long family vacations, but regardless of who owns it or what it’s used for, everyone knows it as the beloved minivan. With school back in session, the van has made a solid reappearance in the auto industry too—probably because it’s the perfect vehicle for families. The Street quotes Brandy Schaffels from AskPatty.com, who says, “The minivan has had lasting appeal because of its practical functionality.” It is no question that vans are the most efficient way to transport groups of people and luggage. The competing SUVs lack the low entry for ease of access for the smaller family members. The flat floors also aid in easy passenger loading, along with sliding doors that are large enough to allow nearly anything to be stored in the back. 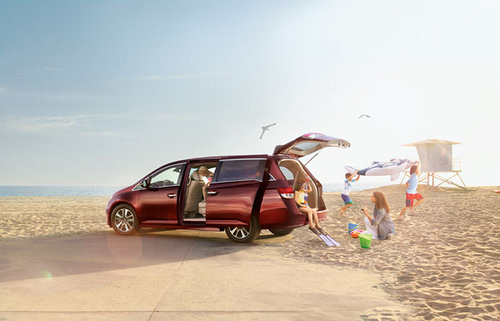 There is no denying that the minivan stands up to the test of time and is nearly essential for every family. If you’re interested in one, the base price for a Honda Odyssey starts at $28,975 and gets a wonderful 19 mpg city and 28 mpg highway. Join the minivan hype and get your own today from Avery Green Honda! 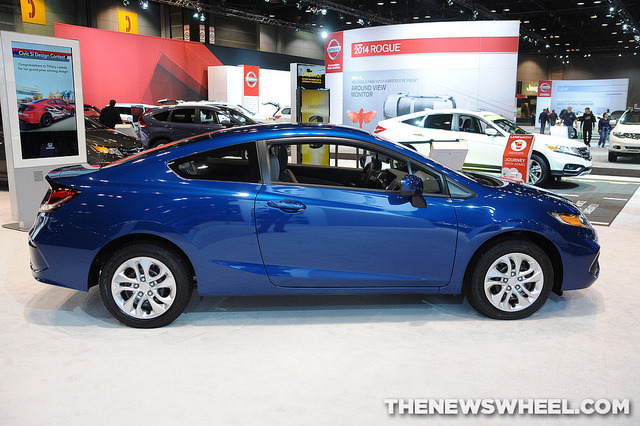 2015 Honda Civic – Available Now at Avery Greene Honda! Today is the day, ladies and gentlemen! The 2015 Honda Civic has officially hit the market, which means you’ll be able to try it out for yourself at Avery Greene Honda in the very near future. If you were on the fence about getting a 2014 Civic Coupe or Civic Sedan will be happy to know that all of the new and exciting features from that model year carry over for 2015. One of America’s favorite cars gets even better with an upgrade exterior for the Coupe, new wheel designs, a new CVT, and standard features such as rearview camera and Bluetooth® HandsFreeLink®. New for 2015 is a Special Edition sedan, which slots in between the LX and EX and adds $1,100 worth of upgrades over the base model for an additional cost of $700. Stop in to schedule your test drive at the wheel of the 2015 Civic Coupe or Sedan. If you’re looking for something a bit different, try our stock of 2015 Pilot, 2015 Accord, 2015 Odyssey, or 2015 Fit. The Intelligent Transport System (ITS) World Congress is the best place to show off the latest and greatest new technologies for vehicles. 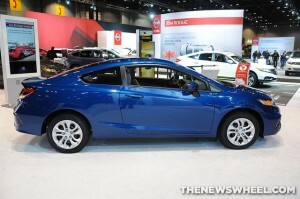 At this year’s congress in Detroit, Honda’s automated driving technologies took center stage. These technologies include automated freeway merging, exiting, and lane changing. Honda demonstrated these abilities on the Detroit freeways and showed off its unique vehicle-to-vehicle (V2V) “virtual tow” program to help drivers in distress. Honda’s “virtual tow” feature is an industry first. It works through V2V communication. A distressed driver can send a signal to other cars to let them know he or she needs assistance. Then, a responding vehicle can pull in front of the distressed car, virtually connect to the car, and “tow” it to safety. The following car would receive its driving cues from the lead vehicle. What an amazing technology! Imagine how helpful this technology would be if someone had a sudden medical condition that made them lose control of their vehicle, a heart attack, for example. This feature would not only potentially save their life, but could also prevent an accident. What future Honda technology are you most excited about? For many people, it is hard to believe that the only thing between your car and the rode is a little bit of plastic filled with air. While there are many important parts to your car, one of the most important is your tires. These plastic donuts allow you to not only have a smooth ride, but also can increase or decrease your fuel efficiency with ease. Because of the importance of your tires, it’s also important to take care of them. As the weather begins to cool off this fall, make sure you follow these tire care tips to ensure your car will be in prime condition! 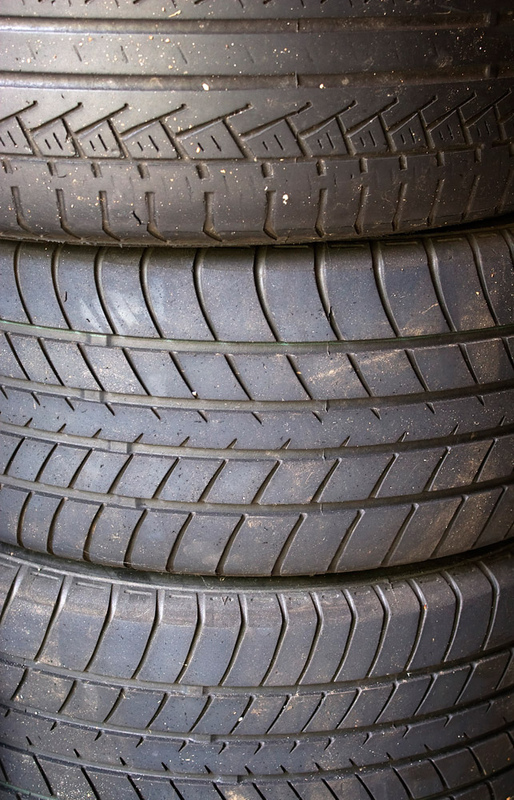 Keep your tires in top shape with these care tips! pressure, which can affect your driving in multiple ways. Not only does tire pressure increase your chances of a blow out, but it also decreases your fuel economy significantly. Your steering is also affected by low tire pressure, which causes your car to drift one way or the other, making handling difficult. To ensure your safety and a great driving experience, be sure to check your tire pressure on the same day each month—we promise, you won’t regret it. Don’t forget to listen to Honest Abe. According to the history books, Abraham Lincoln wasn’t a liar, which is a good thing because he sure knows how to measure tire tread. 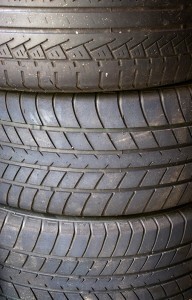 One of the most important ways to take care of our tires is to check tire tread. All you need to do is take a penny, insert it into the tread with Abe’s head upside down. If you can see the top of Abe’s head, then you need new tires. If your head mostly disappears, you’re in the clear. Who knew a penny—or Abraham Lincoln, for that matter—could be so helpful even now? Rotate, rotate, rotate! Tire rotation is the top way to ensure your tires have the equal opportunity to wear down. Rotate them every 5,000 to 7,00 miles to maximize the life of your tire—you might even want to do it every time you get your oil changed. It’s an easy way to remember! Choose the right tires for you. Each car has a recommended tire that is recommended by the manufacturer. Make sure you choose a tire that the company suggests, as it probably works the best with your car. Also, take the climate in which you live into consideration. If you’re driving through snow every winter, purchasing snow tires might be a good idea, whereas they are not a necessity when you live in Southern California. These tire care tips are sure to keep your tires in top condition. If you have any questions regarding tire maintenance, bring your car in to Avery Greene Honda today for assistance!